• Mila Kunis has been the Official Fantasy Girl of AG.com since March of 2010, but it took Esquire until now to name her "Sexiest Woman Alive." Ahead of my time, as always. • Phil Ivey is too badass for his own good. • Hulk Hogan dominated my wrestling-watching experience as a kid and there was a brief period a few years ago when I listened to Bubba The Love Sponge regularly, so ... wow. • Well, now everyone knows what to get me for my birthday. • One bad thing about Louis C.K. doing basically every job involved in making "Louie" is that he occasionally needs a break. The good news is that he wants to do a bunch more seasons. • I died for a good cause, at least. • At least he died doing what he loved. • Chelsea Peretti started her own podcast and the first episode is predictably great, meaning it's time to promote her from frequent Link-O-Rama topic to OFGoAG.com candidate. • I had dinner at a new, family-owned restaurant Tuesday and it was really good, so if you're near Eden Prairie and into Greek food check out Zorba's. Nice food, nice decor, nice owner. • I still need a bunch more questions for next week's Twitter mailbag. I love that we live in a time when people get paid to create videos like that. • On a related note, Jon Hamm and his girlfriend really hate the intentional walk. • Having grown up listening to him on Howard Stern's radio show I consider Gilbert Gottfried a misunderstood comedic genius and his interview with Marc Maron didn't disappoint. • Speaking of which, blogging is apparently the job of the future. • Greg Bedard of the Boston Globe wrote a really interesting article about the Patriots' no-huddle offense and how it was influenced by college football. • "Barb Wire" came out when I was 13 years old and as such I watched it a dozen times once it hit cable, so the "How Did This Get Made?" celebration of its awfulness was fun. • It sounds like I'll have only five more years to complain about how the light-rail doesn't do anyone in the suburbs any good, but I can squeeze a lot of complaining into five years. • What to make of beat reporters stumping for players they cover come award season? • For anyone else who loved "Looper" and is curious about the little kid, read this. • Honestly, this isn't even fair. • Jeff Kent is still on "Survivor." 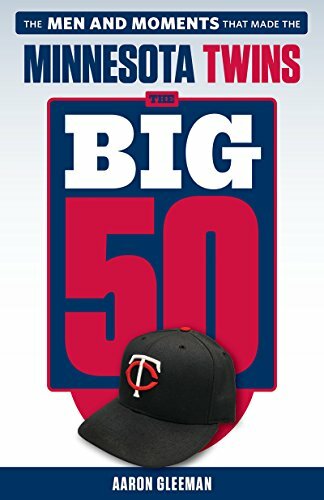 • I guess the Twins can just re-use this from last year, which will at least save some money. 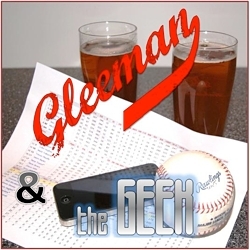 • On a recent "Gleeman and The Geek" episode I mentioned possibly doing a second podcast about movies and television, and show favorite Kate Agnew wants to take me up on it. • Tom Hanks seems like he's probably the best person. • I've binged on Netflix instant lately, so here are some recommendations: "Marley," "The Off Hours," "Tyrannosaur," "Neds," "The Unloved," "The Snowtown Murders," "95 Miles To Go." • And of course if you've never seen "Freaks and Geeks," first of all why the hell not? Second of all, it's now available on Netflix instant. • I have two openings in my Hardball Dynasty league on WhatIfSports.com. If you're interested, please read this for details. - "Picture of money tree"
- "Why does Aimee Mann plays Gibsons"